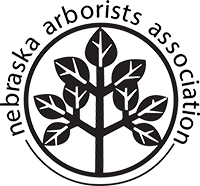 The Nebraska Arborists Association is a statewide trade organization that provides continuing education, information, networking, and support to professionals in the arboriculture industry. NAA's primary focus is to expand knowledge and encourage high ethical standards in the field of arboriculture in order to promote positive advancements in the industry. The NAA Certified Arborist distinction is earned through successful completion of NAA's statewide certification program, which is intended to set the standard for quality tree work. 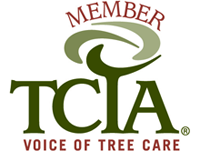 This certification demonstrates advanced knowledge in the tree care field, outstanding professional performance, and a commitment to improving the overall quality of tree care provided by professionals in Nebraska's arboriculture industry. Established in 1925, the Nebraska Nursery & Landscape Association's mission is to advance the nursery and landscape industry by providing opportunities for networking, education, advocacy, and certification to industry professionals for the purpose of collectively growing their businesses. The Nebraska Turfgrass Association is a nonprofit organization seeking to provide better turf for all aspects of the industry. NTA membership supports the continued enrichment of the turfgrass industry in the state of Nebraska. Founded in 1870, the Lincoln Chamber of Commerce is a membership organization that provides services and programs to help businesses grow and thrive in the local economy. LCOC works to promote a positive business climate in Lincoln, serving as the primary advocate for business growth and community development and a constructive partner in working with the government and education. ReTree Nebraska was a 10-year cooperative initiative to raise public awareness of the value of trees, reverse the decline of Nebraska's tree and forest resources, and improve the health and sustainability of trees and forests throughout the state for future generations. Spanning from 2007 to 2017, the primary goal of ReTree Nebraska was to work in partnership with people across Nebraska to foster the proper planting and maintenance of 1 million new trees. Since 1967, the ASCA has been dedicated to providing Consulting Arborists with the tools and knowledge they need to deliver a stronger work product to their clients. 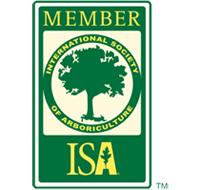 ASCA members are Consulting Arborists - the authoritative experts on trees, whose objective, comprehensive viewpoint ensures the safety, health, and preservation of trees. Their extensive level of knowledge and experience makes them highly sought after by consumers, professionals, and other arborists. Mr. Amoto Lawn & Tree Service is proud to be your local Bio Green® Licensed Service Provider for the Lincoln area and surrounding Nebraska communities. Bio Green® Licensed Service Providers are trained and supported by Bio Green® USA Inc. in the use and application of Bio Green®'s biologically-sound, environmentally-safe products, which are available exclusively through these designated providers and are changing the way the industry sees lawn fertility. We are proud to be Certified Pesticide Applicators through the Nebraska Department of Agriculture (NDA), a distinction that's intended to demonstrate advanced understanding and experience in the safe and effective use of pesticides.